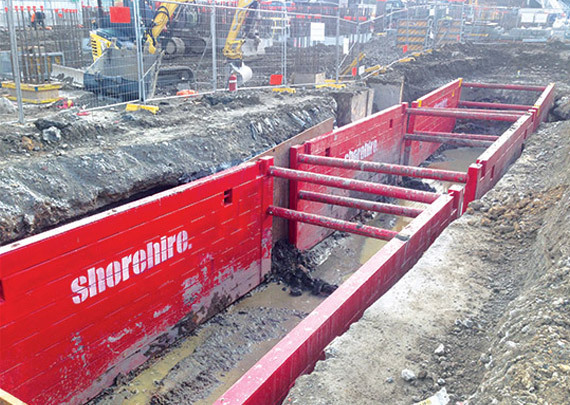 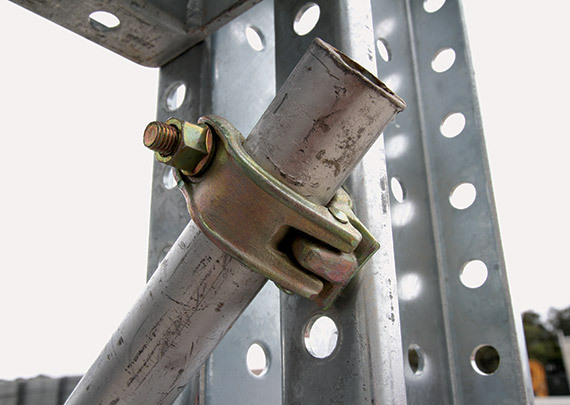 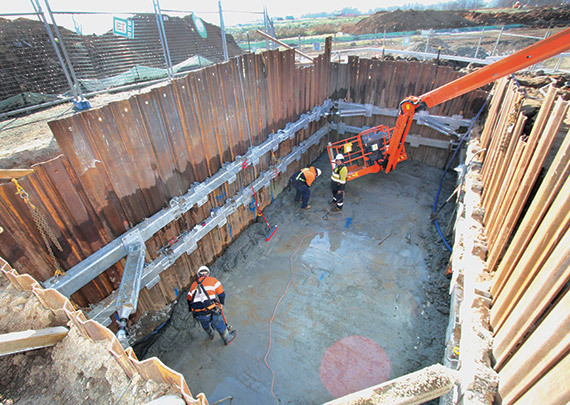 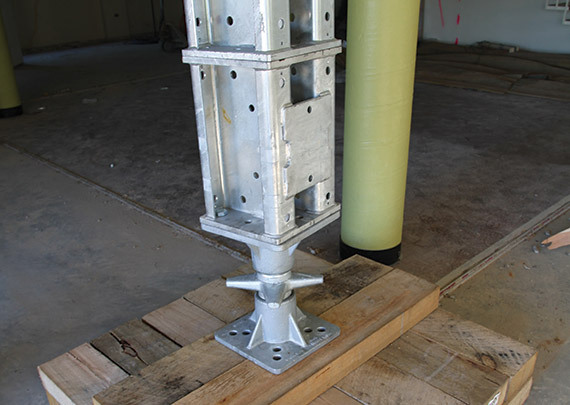 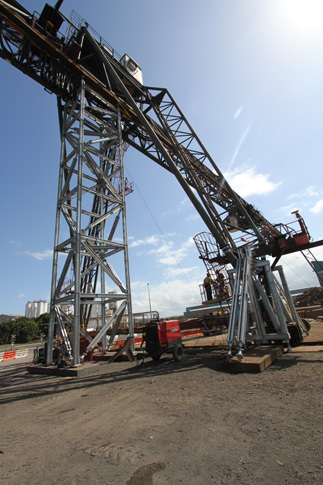 Shore Hire was called upon by a structural engineer to design a propping solution to support a 500 tonne crane, to enable repairs to be carried out on its support legs. 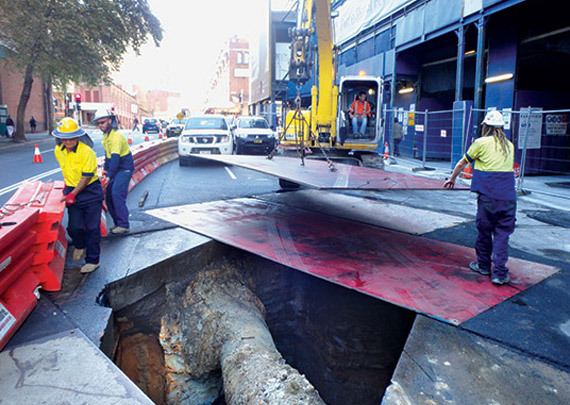 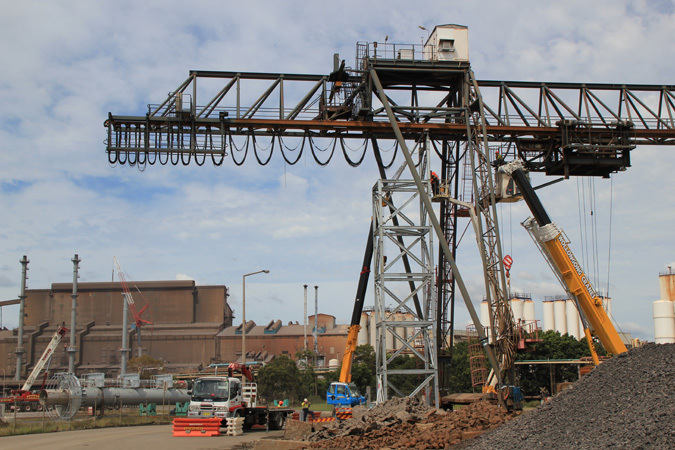 This unique crane repair project called for an innovative response. 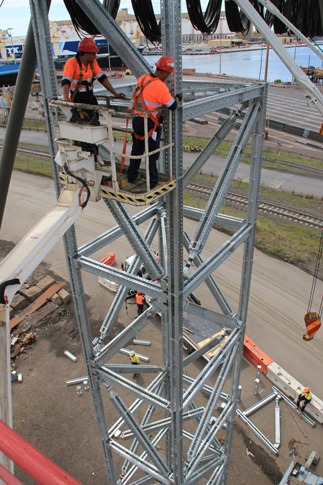 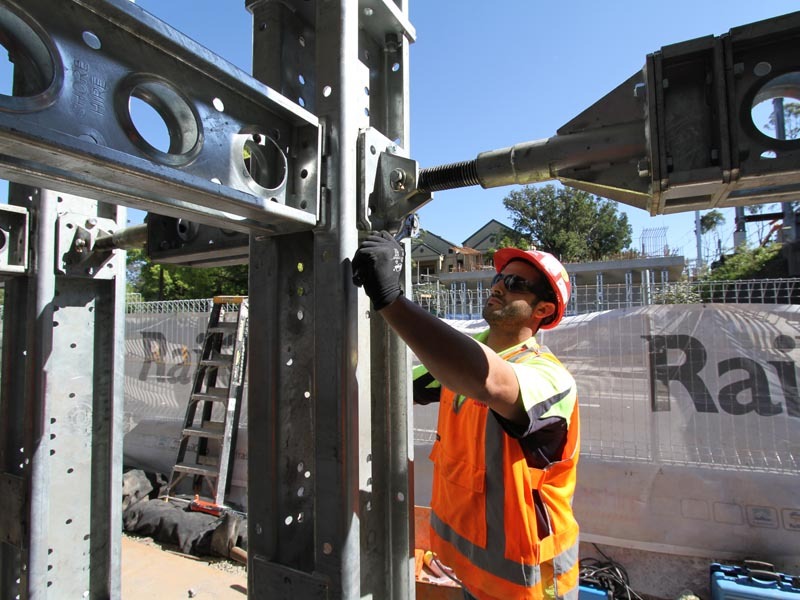 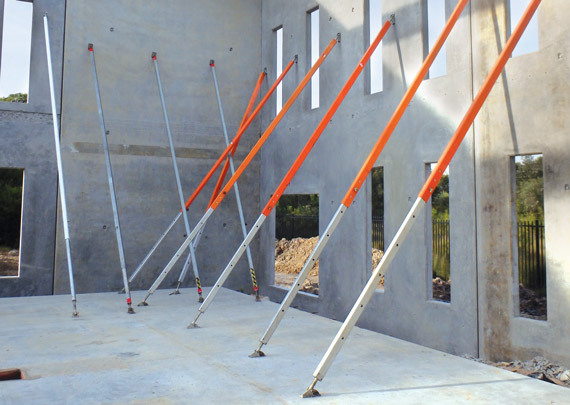 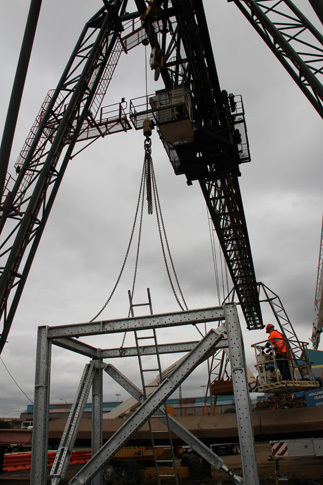 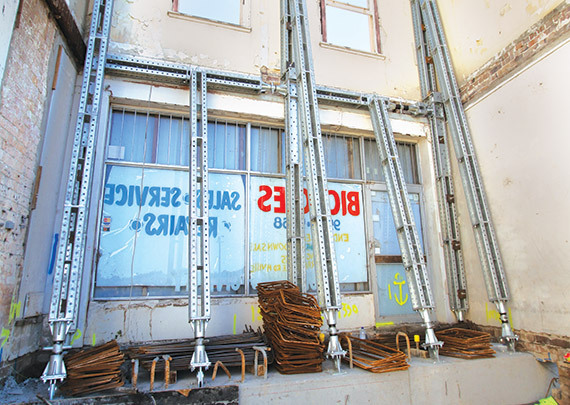 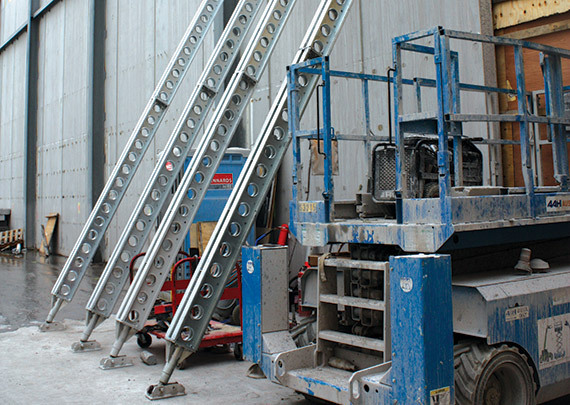 Shore Hire recommended the Shore 400 system with which to design a frame to carry the entire weight of the crane while repairs were undertaken. 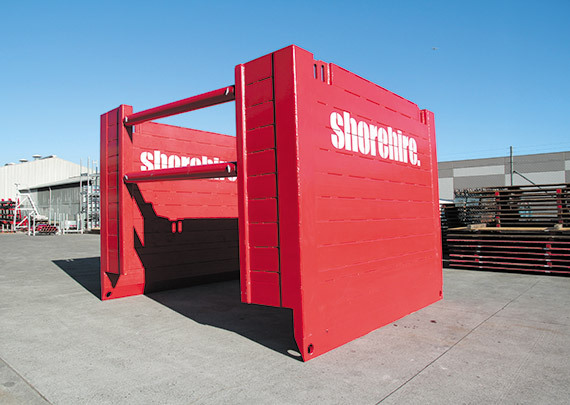 The Shore 400 system was ideal for the scenario given its modular and versatile design, which enabled a customised solution without the cost, difficulty and time frame associated with a fabricated and fixed structure. 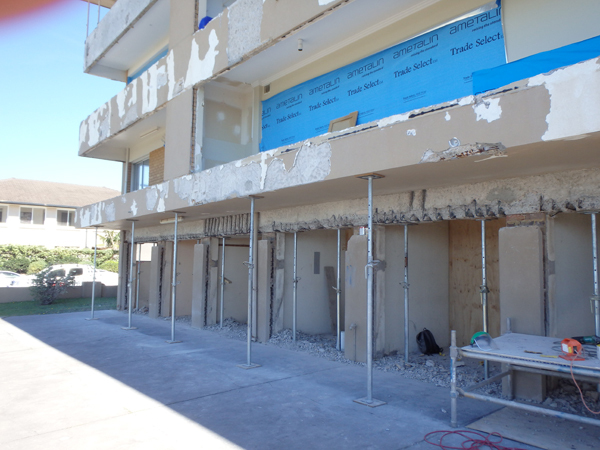 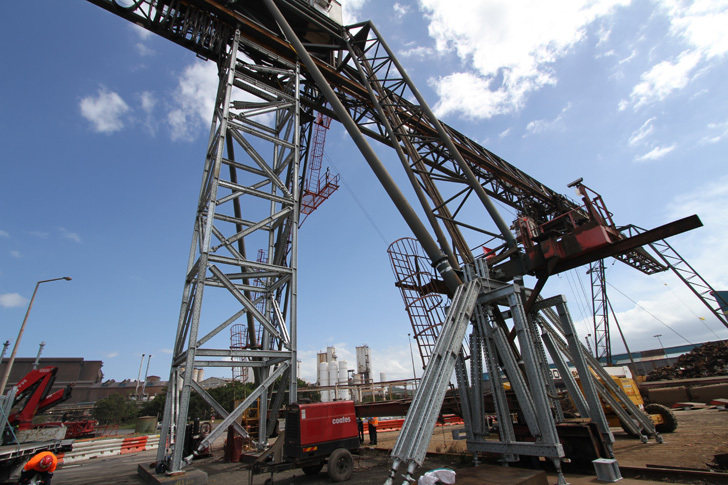 Shore Hire’s rigging and erection team built the structure for the client in a timely manner with the assistance of a mobile crane and boom lift. 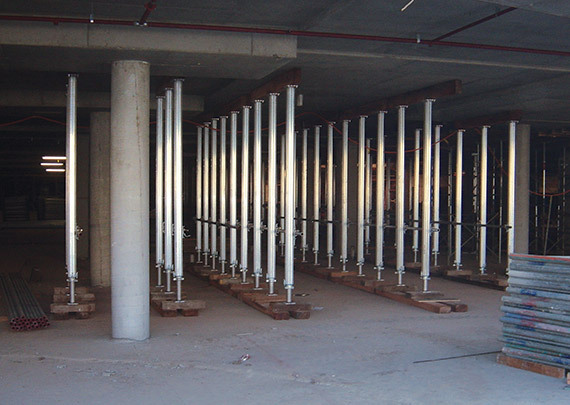 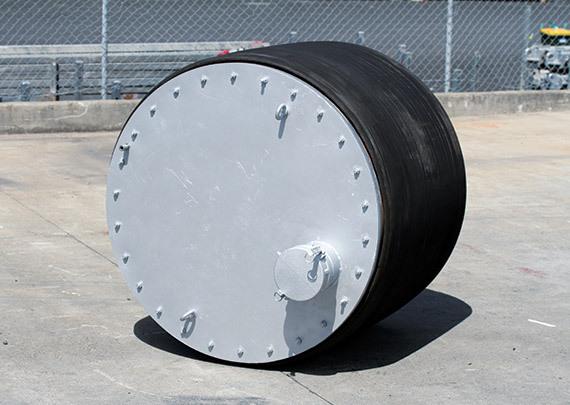 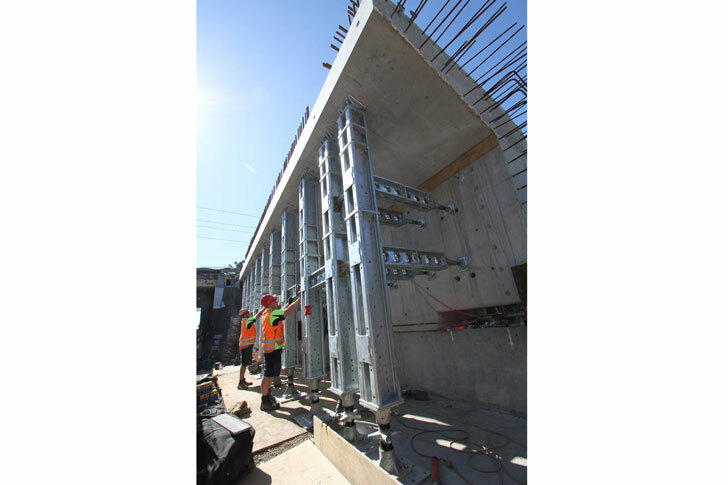 The versatility of ease of assembly enabled a number of ‘wins’ for our client on this project. 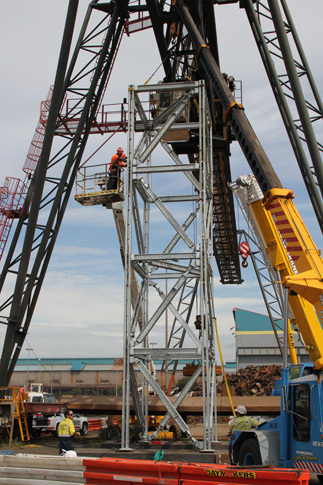 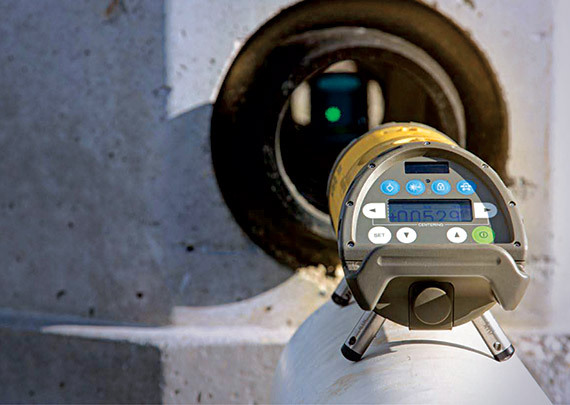 They were able to get the crane operational again more quickly than would otherwise have been possible, with the speed of assembly and disassembly of the Shore 400 system playing a critical role in the solution.